W.B. Bowden is the author of Port Madison: 1854, an 18-page booklet published in 1976. 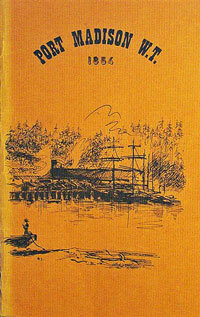 The booklet provides information about some of the people and events that made Port Madison one of Washington State's most important settlements during the latter part of the 19th century. Several photographs complement the narrative. A copy of the book, found among the books donated to the Bainbridge Island Friends of the Library, was given to the Bainbridge Island Historical Society for its collection.